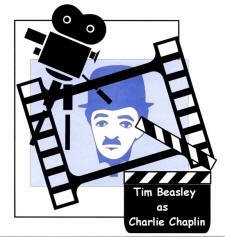 Charlie Chaplin is of course one of the earliest “superstars” in being a box office sensation and world-recognized movie icon back in the silver screen days of silent films. 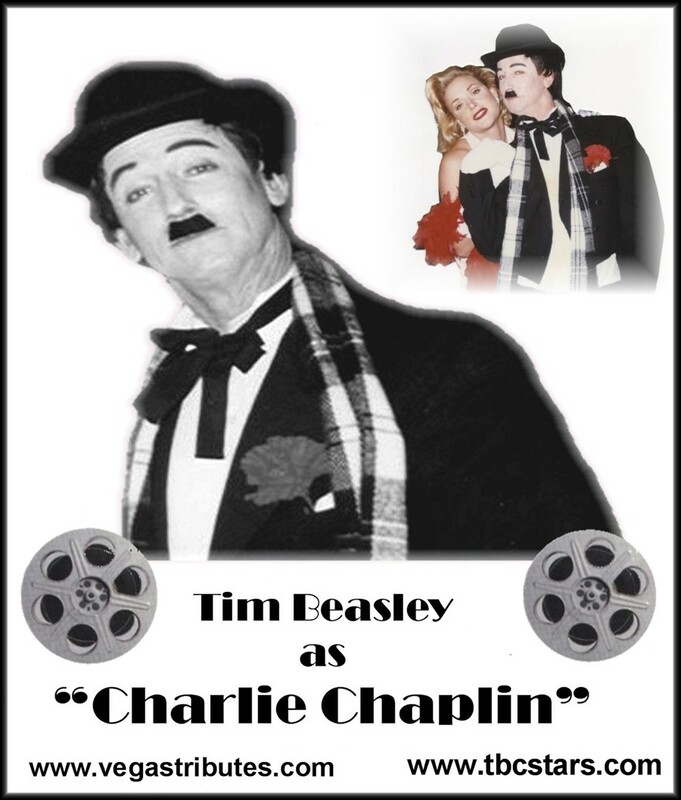 With his signature derby, cane and “little tramp” attire and attitude, he stands as a giant in terms of recognition power, and everyone instantly knows “Charlie Chaplin." 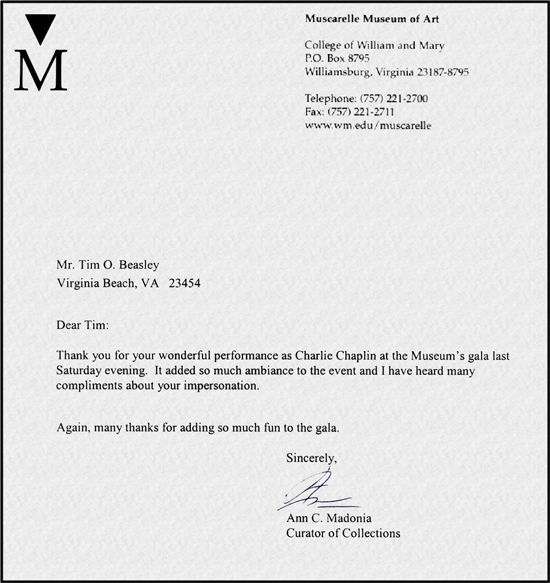 This event was a very posh fund raiser for the world reknown museum of fine art, The Muscarelle at William & Mary University, Williamsburg,, VA. A huge success! 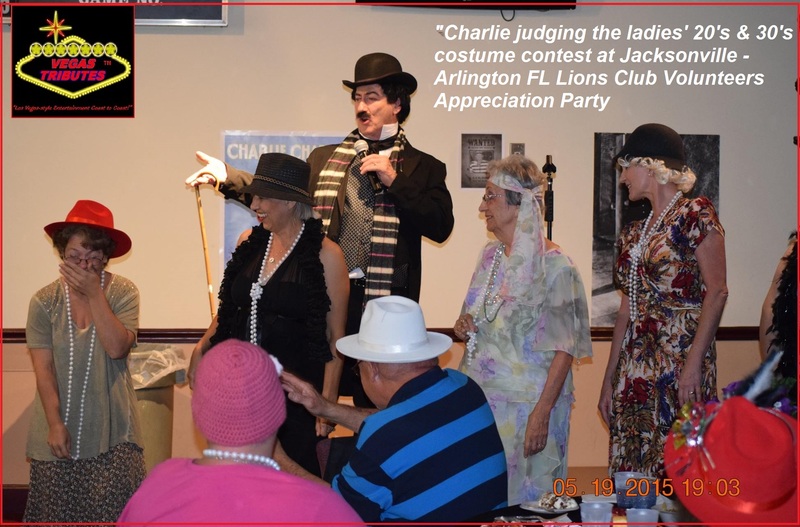 Very much a celebrity icon, Charlie Chaplin will continue to be a popular character entertaining for any special event looking for that classic Hollywood and Roaring Twenties feel. 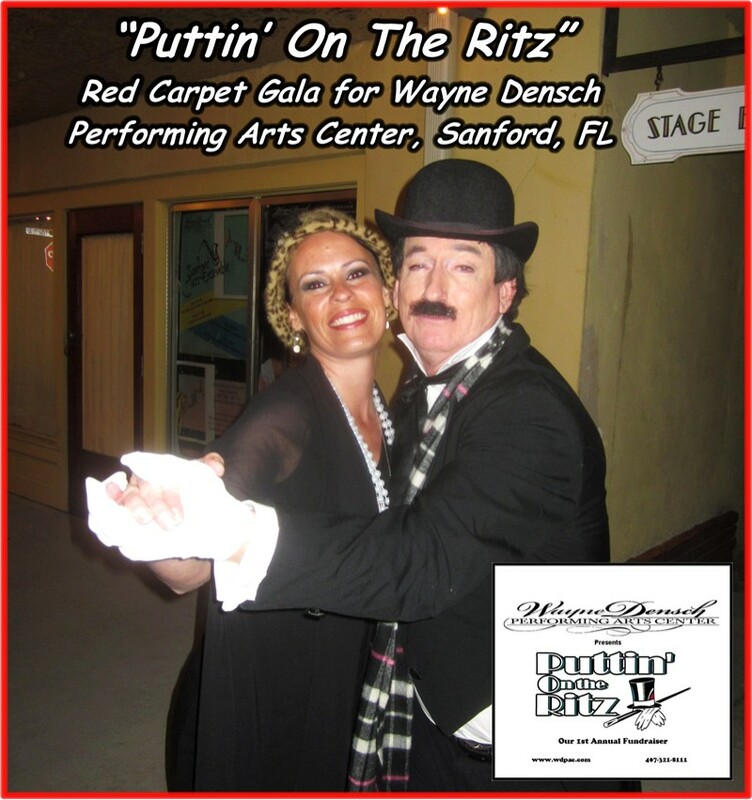 Below is a recent performance for a "red carpet" fundraiser. 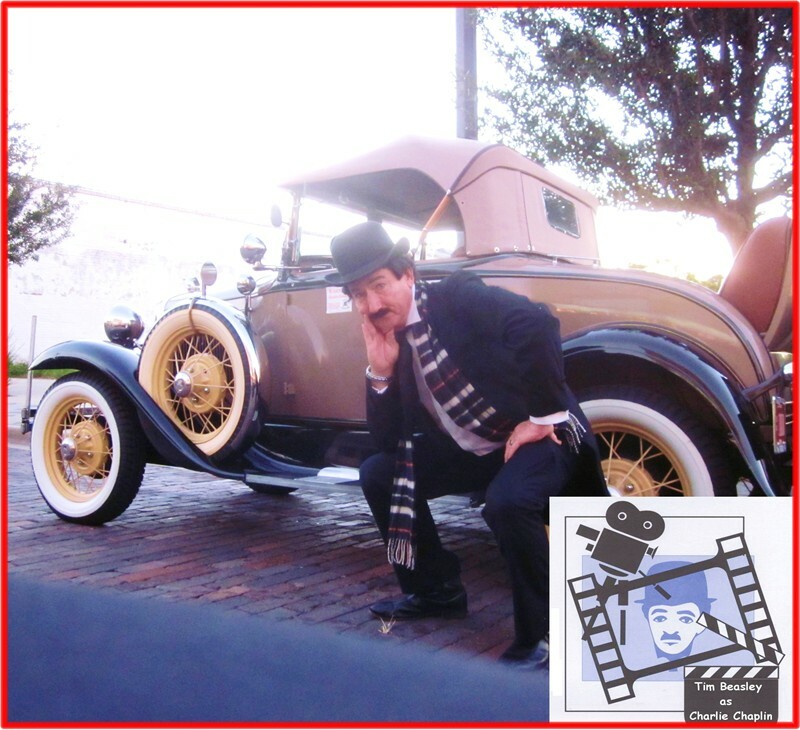 As a 25 year veteran of live performances nationally and internationally, too, Tim always brings an immense amount of experience and craft to his “Celebrity Stars” appearances! 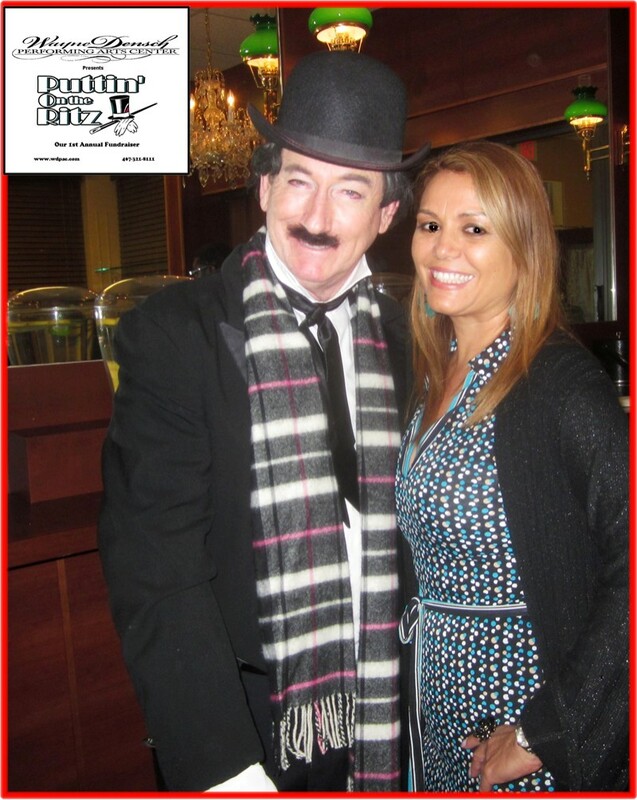 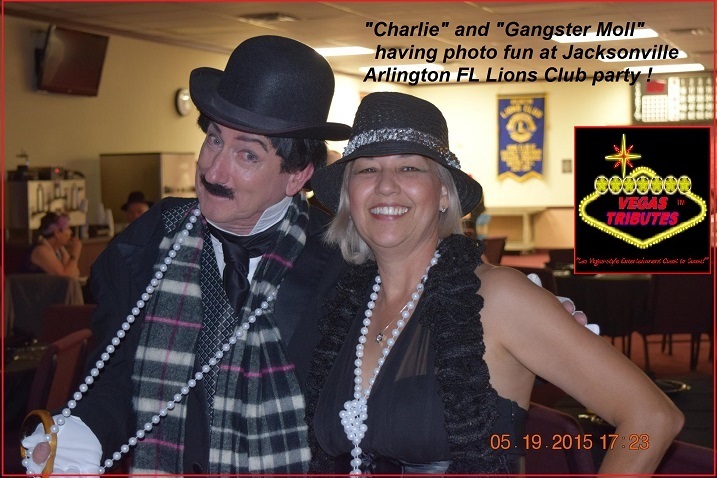 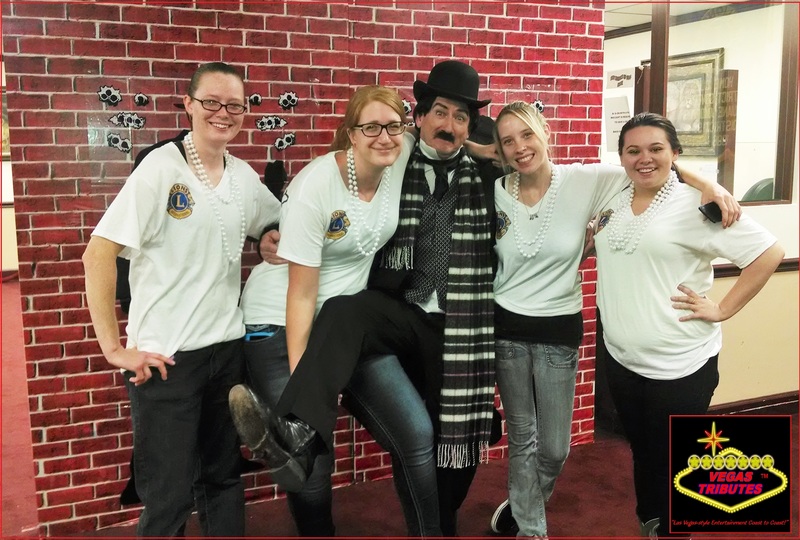 "CHARLIE CHAPLIN" EVENT ABOVE IS FOR A FUN ROARING 20'S THEME PARTY FOR JACKSONVILLE-ARLINGTON, FL LIONS CLUB GALA, 5/19/15. 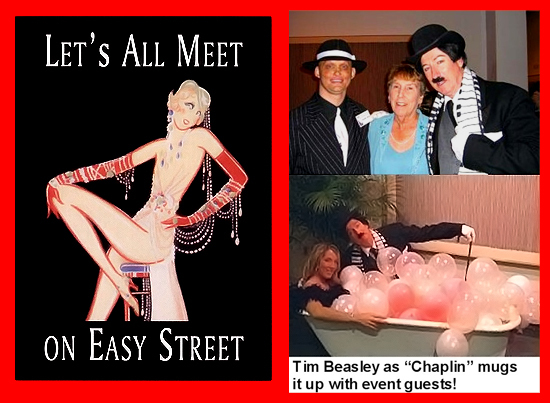 NOW BOOKING FOR YOUR SPECIAL EVENT, NATIONALLY - INTERNATIONALLY. 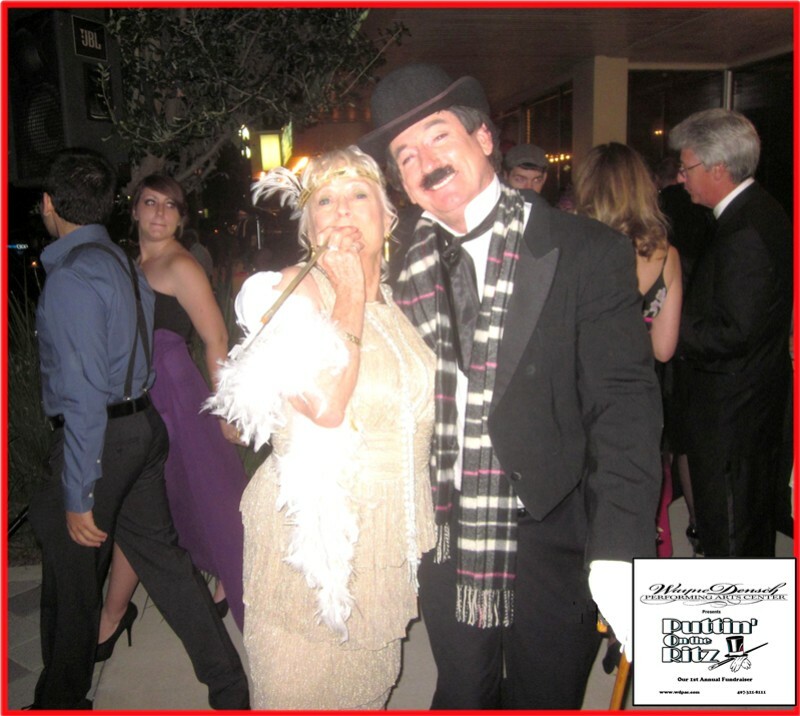 Please call...we love to talk...and you can text, too!